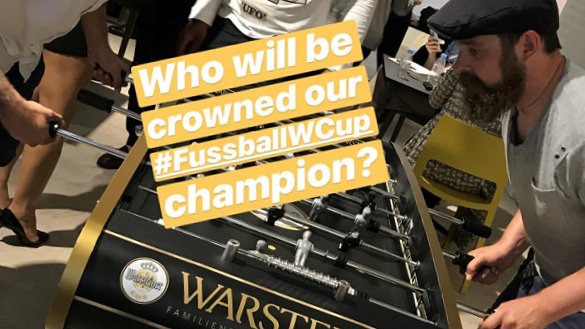 Warsteiner’s long association with London Fashion Week Mens (#LFWM) shifted up a gear this year with the introduction of its #FussballWCup activation, installed in the Designer Showrooms at 180 The Strand. It stimulated constant interaction with the brand from designers and visitors alike over three days and allowed the fashion communities’ favourite beer brand to generate a disproportionate share of traffic from the massively popular #LFWM hashtag. Warsteiner took top spot as the non-fashion sponsor with the greatest Social Media exposure from the Internationally renowned event with reach in excess of one million across Twitter and Facebook.